Choosing which SEO company you partner with is critical to your businesses growth and success. A good SEO firm will consider the elements of your business that make you unique and create a marketing strategy that plays to your company’s strengths. This will allow you to achieve organic growth through increased visibility, active engagement with your current customers, and connectivity with the potential customers who are already searching for your product or service. There are many SEO startups out there employing cheap and ineffective strategies, which are sometimes even against Google’s policies and could end up doing more harm than good. You need to be sure that you are partnering with a company that has your best interests at heart, and isn’t just looking to make a quick buck. Divergent Media was built from the ground up by entrepreneurs, for entrepreneurs. We understand the pride, dedication, and old fashioned elbow grease you put into building your company. Having done it ourselves, we have the utmost respect for entrepreneurs who took a risk to strike out of the wage-earning lifestyle and pursue their dream. Our mission is simple. We want to create a foundation for businesses large and small to grow naturally by employing the most modern marketing methods available. We stay on the cutting edge of SEO and digital marketing so that as the market evolves, you and your company evolve with it. We deliver results by creating a well-rounded SEO and digital marketing strategy that includes social media marketing, digital advertising, intelligent web design, and content marketing. The result is a healthy foundation that you can use to grow naturally, without the need to employ short-sighted tactics like pay-per-click advertising and what the industry refers to as “black hat” SEO. Our methods are designed with the end game in mind, focusing on the long-term goals of your company. Divergent Media handles each of its clients personally. We do not sub-contract or outsource any of our projects. When you partner with us, you can rest assured that your case will be actively managed by one of our SEO experts. We treat each company as if it were our own, and leave no corners cut and no stone unturned. It’s no secret that the information age has brought about a notable change in the buying process. You no longer need to convince people that they need what you are selling. In a world where everybody carries a high-powered computer in their pocket, they already have all the information they require at their fingertips. Rather than actively looking for your customers, you need to focus on being found. Your best potential customers are already convinced that they need your product or service, you need only to convince them that you are the one to get it from. This is where SEO comes in. 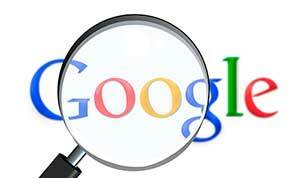 Search engines are by far the most common way that people search for information today. According to Google, 90% of searchers never go beyond the first page, and an overwhelming majority of those never look past the 5th result. By improving the functionality and visibility of your web presence, you create a platform that allows you to communicate with these potential customers more effectively while reaching a much wider audience. Backing this up with an active social media marketing campaign then gives you a direct line of communication to your customers, and allows you to engage them actively and build quality relationships with them. Providing a constant stream of engaging, high-quality, keyword focused content shows that your business is relevant and interesting, both to your customers and Google’s ranking index. It also has the added benefit of communicating your company’s products, goals, and values more effectively. Google reports that 88% of mobile users search for local business. If your business relies on local customers, there is no better way to reach them than a local SEO strategy. Local SEO gets your business listed on Google Maps, which appears the top of local search results. Local SEO improvement is achieved by optimizing your Google My Business account and getting your business listed in trusted local directories. Also, a well-built mobile friendly website is necessary to achieve local SEO results. 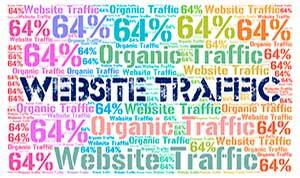 Divergent Media offers local SEO as a part of our comprehensive digital marketing package. 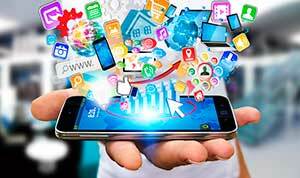 If your business can benefit from local exposure, we can look at your competitor’s mobile marketing and develop a method to improve your presence in the local digital landscape. At Divergent media, we come to the office each day with one goal in mind. We want to help our clients achieve their dreams, and grow their business to a level that allows them to enjoy the lifestyle that entrepreneurship is all about. We maintain active relationships with our valued clients and stay in contact every step of the way. We pride ourselves on our superior communication and transparency. Every day that your company is under-performing on search engines, your competitors are taking your potential customers out from under you. Having the best ROI in the marketing industry, SEO is far from a closely guarded secret. If you don’t begin improving your search engine ranking today, your competitors will quickly surpass you. With a comprehensive SEO and digital marketing strategy in place, we can drive traffic that would be going to your competitors straight to you. Call Divergent Media today and find out how we can help you achieve organic growth through our results-driven approach to SEO and digital marketing.